Professor Freedman specializes in medieval social history, the history of Catalonia, comparative studies of the peasantry, trade in luxury products, and the history of cuisine. His latest book is Ten Restaurants That Changed America (Liveright/Norton, 2016). Freedman earned his BA at the University of California at Santa Cruz and an MLS from the School of Library and Information Studies at the University of California at Berkeley. He received a Ph.D. in History at Berkeley in 1978. His doctoral work focused on medieval Catalonia and how the bishop and canons interacted with the powerful and weak elements of lay society in Vic, north of Barcelona. This resulted in the publication of The Diocese of Vic: Tradition and Regeneration in Medieval Catalonia (1983). Freedman taught for eighteen years at Vanderbilt University before joining the Yale faculty in 1997. At Vanderbilt, he focused on the history of Catalan peasantry, papal correspondence with Catalonia and a comparative history of European seigneurial regimes. He was awarded Vanderbilt’s Nordhaus Teaching Prize in 1989 and was the Robert Penn Warren Humanities Center Fellow there in 1991-1992. During that time he published his second book, Origins of Peasant Servitude in Medieval Catalonia (1991). 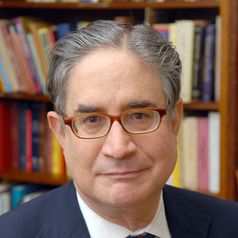 Since coming to Yale, Professor Freedman has served as Director of Undergraduate Studies in History, Director of the Medieval Studies Program, Chair of the History Department, and Chair of the Program in the History of Science and Medicine He has offered graduate seminars on the social history of the Middle Ages, church, society and politics, and agrarian studies (as part of a team-taught course). Freedman was a visiting fellow at the Max-Planck-Institut für Geschichte in Göttingen in 2000 and Directeur d’Études Associé at the École des Hautes Études en Sciences Sociales in Paris in 1995. His third book was Images of the Medieval Peasant (1999) and there are two collections of his essays: Church, Law and Society in Catalonia, 900-1500 and Assaigs d’historia de la pagesia catalana ( “Essays on the History of the Catalan Peasantry,” translated into Catalan). Freedman edited Food: The History of Taste, an illustrated collection of essays about food from prehistoric to contemporary times published by Thames & Hudson (London) and in the US by the University of California Press (2007). His book on the demand for spices in medieval Europe was published in 2008 by Yale University Press. It is entitled Out of the East: Spices and the Medieval Imagination. Freedman also co-edited three other collections: with Caroline Walker Bynum, Last Things: Death and the Apocalypse in the Middle Ages (1999) with Monique Bourin, Forms of Servitude in Northern and Central Europe (2005), and with Ken Albala and Joyce Chaplin, Food in Time and Place (2014). A Fellow of the Medieval Academy of America, Freedman is also a corresponding fellow of the Real Academia de Buenas Letras de Barcelona and of the Institut d’Estudis Catalans. He is a member of the American Philosophical Society and the American Academy of Arts and Sciences. His honors include a 2008 cookbook award (reference and technical) from the International Association of Culinary Professionals (for Food: The History of Taste) and three awards for Images of the Medieval Peasant: the Haskins Medal of the Medieval Academy (2002), the 2001 Otto Gründler prize given by the Medieval Institute at Western Michigan University in Kalamazoo, and the Eugene Kayden Award in the Humanities given by the University of Colorado. He won the American Historical Association’s Premio del Rey Prize in 1992 (for The Origins of Peasant Servitude in Medieval Catalonia) and shared the Medieval Academy’s Van Courtlandt Elliott prize for the best first article on a medieval topic in 1981.